Pictured above: Joseph Nieves ’15 at Skidmore College. 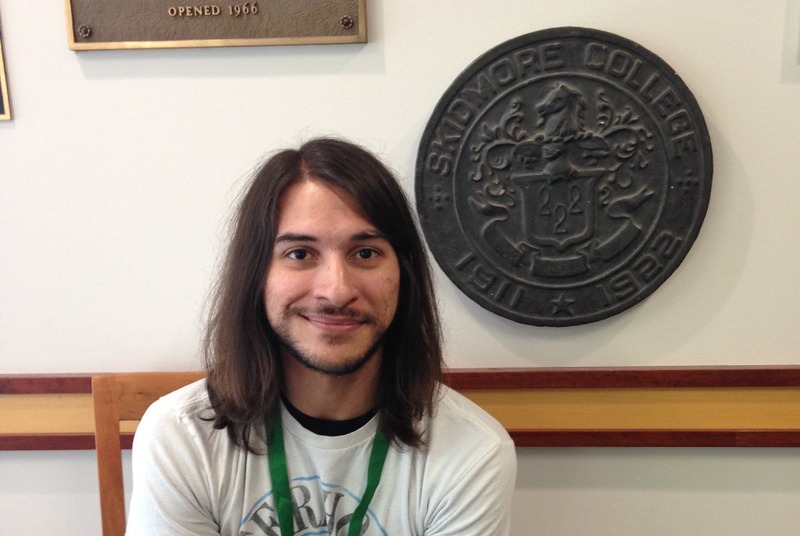 Congratulations to Joseph Nieves ’15, the recipient of a full-tuition scholarship to attend the 2015 New York State Summer Writers Institute at Skidmore College in Saratoga Springs, NY. An English (Creative Writing) major from Mesa, AZ, Nieves’ focus at the two-week institute is fiction writing. The New York State Writers Institute was established in 1984 by award-winning novelist William Kennedy at the University at Albany, SUNY. The Institute features creative writing workshops in fiction, non-fiction, and poetry. A staff of distinguished writers, among them winners of such honors as the Pulitzer Prize and the National Book Award, serve as Institute faculty members. Some of the visiting writers include Caryl Phillips, Jamaica Kincaid, and Joyce Carol Oates, among others. Dr. Deb Brenegan, former Creative Writing professor at Westminster College, encouraged Nieves to apply for the institute. She served as the faculty sponsor on his application and one of his mentors at Westminster. Nieves’ work has been published in literary magazines The Quotable, Molotov Cocktail, and Janus. He is also the author of the blog Thought Balloons.